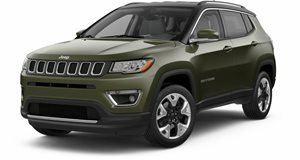 These are the Grand Cherokee S Limited, Wrangler Mountain and Compass Black Edition. 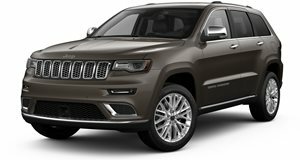 The Grand Cherokee S Limited was first previewed in concept form at the Geneva Motor Show, and features a mesh grille, platinum chrome accents and tinted headlights. A black chrome dual exhaust system and 20-inch alloys are other noteworthy exterior elements of the blacked-out exterior. Inside, the cabin is equipped with a leather-wrapped perforated heated steering wheel, Nappa leather/suede sports-styled seats, carbon-fiber trim and racing style pedals. There&apos;s also a panoramic sunroof, Harman Kardon audio system and Uconnect infotainment system. Under the hood, a 3.0-liter V6 CRD engine develops 187hp and 324lb-ft of torque, or 238hp and 406lb-ft, and is paired to the five-speed automatic transmission. 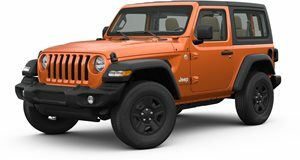 Arriving in June is the Wrangler Mountain, which will come in two- and four-door body styles. Distinguished by a Mineral Grey grille, black hood decal and 17-inch alloys, the special edition model also boasts Mopar side steps and a black fuel-filler door. Limited interior changes include embroidered seats, heavy-duty slush mats and rubberized grab handles. Power comes from a 197hp 2.8-liter turbodiesel and a 280hp 3.6-liter V6 gasoline unit. Finally the Compass Black, which is the production version of the Geneva concept of the same name, will arrive in August with tinted headlights, gloss black accents and 18-inch alloys. Save for a Boston Acoustics audio system and UConnect infotainment system, the cabin remains untouched. Power comes from a 2.2-liter turbodiesel unit with 161hp and 236lb-ft of torque.